With their bold fuchsia hue and barely-there silhouette, Aquazzura's 'Whisper' sandals are perfect for summer events or tropical destinations. This pair is crafted from soft suede and has slender lace-up ties that prettily frame your foot. Wear them with everything from flowy dresses to cropped jeans. 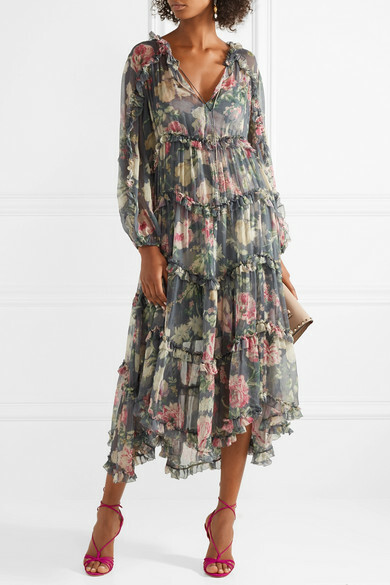 Shown here with: Zimmermann Dress, Valentino Clutch, Alighieri Earrings.